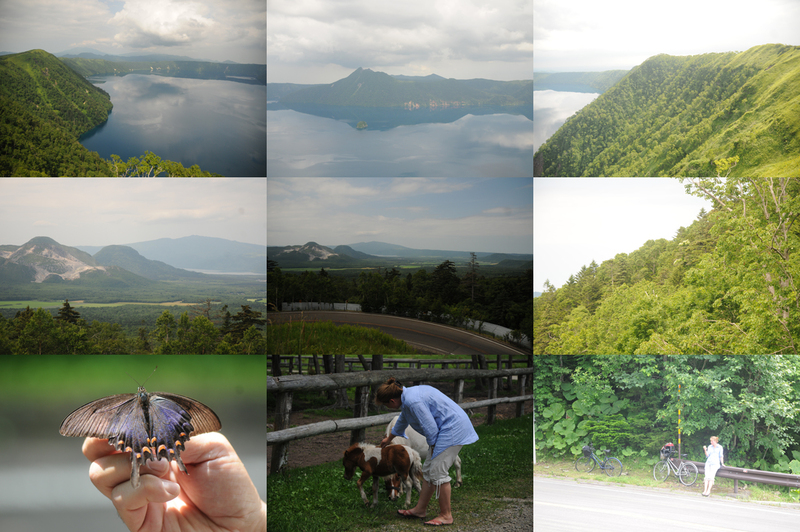 Top row: The caldera lake Mashu. Middle row Left The volcano Iozan with its bare sulphurous patches. Lake Kussharo in the background and the spa town of Kawayu on the margin of the photo, from the caldera rim. Middle and right are pictures from the ascent. Flowering climbing hydrangeas in the forest. Many butterflies of many species including both yellow and black-blue swallowtails.